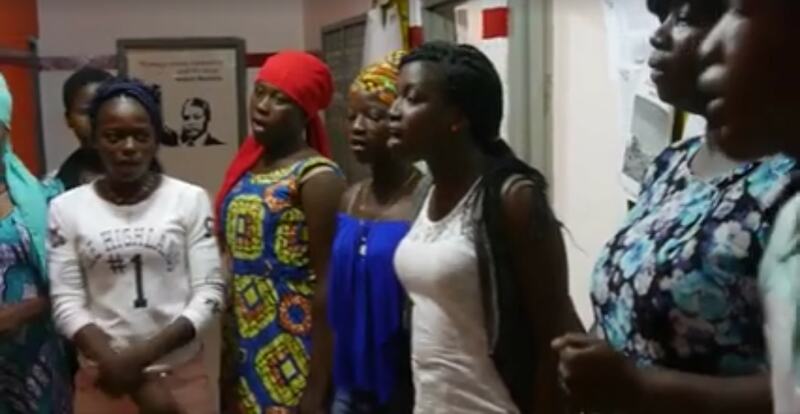 Here's a group of women in Ghana singing the powerful Women's March anthem, "I Can't Keep Quiet"
There was so much good that came out of Women’s March this year! It was incredible to see women around the world unite in the name of love and activism. And one of the coolest things to come out of Women’s March was definitely the song “I Can’t Keep Quiet”. Originally performed by MILCK and the #ICAN’TKEEPQUIET choir, the song quickly went viral. Soon it became the unofficial theme song of the protest. The simple, powerful message resonated with so many people. Even Samantha Bee invited them to perform it on Full Frontal. Since then, there have been all sorts of covers and tributes to the song. But we just found a new favorite. A group of women in Ghana performed the music beautifully. And it was uploaded to the Global Platform Ghana Facebook page. The beginning starts with the familiar English lyrics before switching into Dagbanli. But no matter what the language, the message and meaning remain clear. And even the original singer and songwriter, MILCK, posted her love for this video on her own page. She wrote, "I am so deeply moved by the power of song, and how it can echo through so many different people, including my sisters from Ghana. It's proof to me that when we sing our truths out, there are people who will understand." Global Platform Ghana trains youth organizations and individuals in Ghana in political activism and empowerment. It’s so awesome and inspiring to see the world-wide reach and ongoing impact of Women’s March! We would like to thank all who participated in the International Women’s Day march that took place yesterday in Tamale…. We hope to see more beautiful activist posts and protests from Global Platform Ghana and these incredible singers.